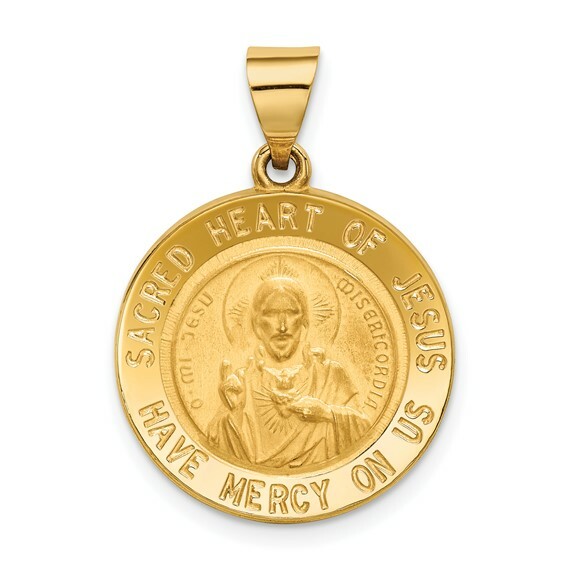 This small round sacred heart of Jesus medal is made of polished, 14kt yellow gold. Item measures 11/16 inch round without loop and bail. This item is the size of a dime. Weight: 1.37 grams. The feast of the Sacred Heart of Jesus celebrates the physical and divine heart of Jesus Christ. It remembers Jesus' redeeming love. Made in USA.